For all the technical prowess and creative thinking it requires, at the end of the day web design and development is a visual process. From the boldest rainbow to the most refined greyscale, every product needs harmony and balance of light and dark. In this article, we review the top 15 color palette generators to help you achieve design bliss. With the Color Safe palette generator, any choice of palette will be the right choice for maximizing accessibility and aesthetic beauty. 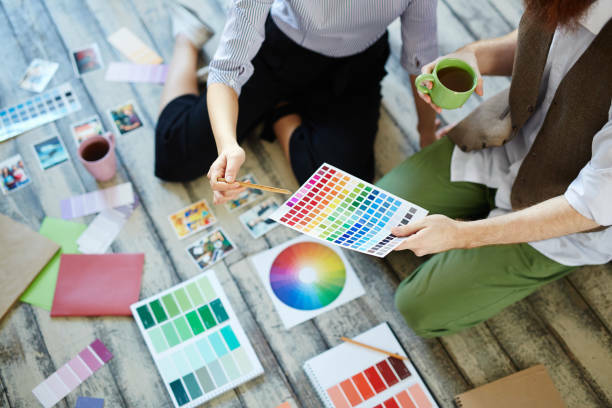 Color Safe confines their palettes to the principles of WCAG, or Web Content Accessibility Guidelines, taking the guesswork out of meeting users’ needs. It isn’t often that a web app can genuinely be described as inspired, but Palettr meets and exceeds that descriptor with its ingenious keyword function. Enter a keyword, like “vintage” or “candy,” that relates to the color scheme you have in mind and Palettr will return a palette suited to your theme. Colourcode’s interface gets straight to the point, with a sleek and minimalist layout. This generator is ideal for a graphic designer who knows just what they want, which the technical look and Free Build option will be sure to satisfy. A palette generator for everyone, at every skill level, Pictaculous invites users to upload an image to see the basic colors contained within the image. Not only is this generator fun to use, the possibilities are limitless. The site creators’ love of color and beautiful design is clearly on display in the Color Supply tool. This generator allows for easy toggling between complementary and analagous palettes and beyond. Bonus feature: the gorgeous designer-created, pre-selected palettes. Another simple, clean palette generator, ColorSpace differentiates itself with the ability to see color gradients in addition to palettes. The tool is fun to play with yet easy to work with. Material Palette leads the user through a brilliant rainbow of rich colors. Tap or click just two shades to receive a palette of neatly labeled hues complete with a suggestion for the ideal text, accent and divider color. Best known for Photoshop, Adobe’s products are well-respected across the globe, and their color palette generator is no exception. The generator is presented as a color wheel that shifts in hues from red to green and everything in between. Colors are labeled in both RGB and hex codes for convenience. Another in a series of palette generators that rely on image uploading, CSS Drive’s generator allows users to upload their own images or paste a URL to see the symphony of shades that compose an image. CSS Drive offers a handy range of light, medium, dark or complete palettes. DeGraeve’s color palette generator, yet another image to color generator, may not appear particularly outstanding on the surface. However, this simple tool stands out from the pack by being one of the fastest and easiest to use in an age when user friendliness is at times overshadowed by flashiness. Results are labeled in hex codes. The amusingly titled PerBang, a Danish site, is as pleasing to use as it is fun to say. PerBang promises to work well for design on the go, a serious advantage for the modern designer or developer, and indeed the generator works well on mobile and tablet. Users enter a hex value in the search bar and receive a precise array of matches. Push the “Color of the Day” button for a pre-selected hue. Paletton’s tagline reads “in love with colors, since 2002.” You just might fall in love, too when you delve into the aesthetically ingenious color wheel Paletton has created. The palettes generated are rich and luxurious, popping out against a deep gray layout, but the real treasure here is the convenient share button which lets collaborators send palettes via e-mail or WhatsApp. From the first point of entry, Colormind’s color palette generator feels exciting and technologically advanced. As it happens, that’s because it is; the generator runs on artificial intelligence, and because deep learning is part of the process, the site only improves the more that it’s used. Upload your own image or browse the endless galleries of designer palettes. Canva bills itself as the easiest place to get colors from your photos, and they’re absolutely right. On PC, Mac, tablet or mobile, upload or drag-and-drop a file to yield a perfect palette. Canva titles colors by hex values and by whimsical names like Antique White and Sea Green, making this a smart option for the technically-inclined and wordsmiths alike. Coolors, a mash-up of “cool” and “colors,” is a fast and user-friendly generator appropriate for all purposes and knowledge levels. This color palette generator is unique in that it allows the user to create a profile to save palette creations and ideas. Available as an iOS app and Chrome extension, Coolors is both highly customizable and convenient.